I’ve passed a milestone. It’s been three years since my diagnosis and surgery. My risk of recurrence of triple-negative breast cancer begins going down now. I drove to Denver in the rain. I met with my oncologist who congratulated me and once again explained that my risk will continue to go down until, after five years, if it hasn’t recurred, it probably will not. I had been afraid to talk about the anniversary, or to celebrate it. Superstitious feelings that I might jinx it? I don’t know. I drove home from Denver under a big blue Colorado sky. I realized I feel different now. I have been marking this time – the three years – knowing that my chance of recurrence during that time was high. I made it. Now I’m not just going to celebrate the anniversary, I’m going to celebrate every day. I want to shift from worrying about what might happen to thinking about all of the possibilities and potential for the rest of my life. 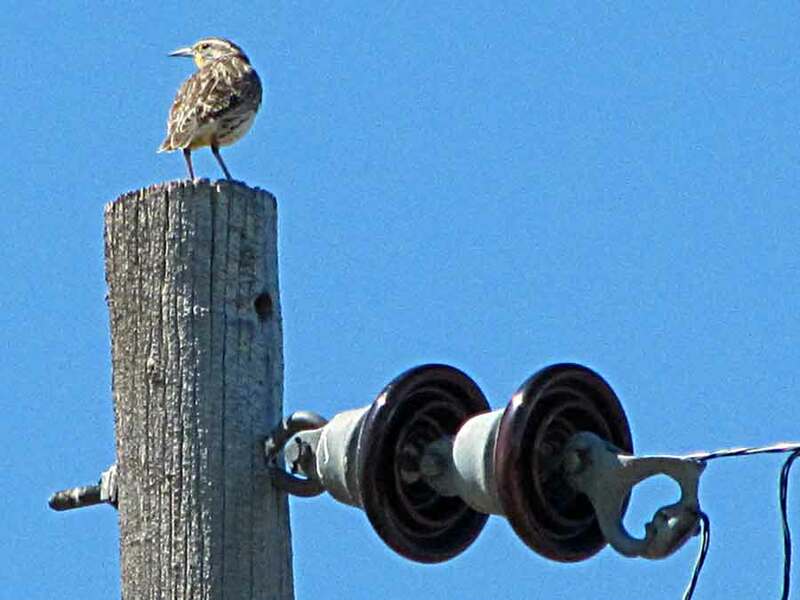 The meadowlark that sits on top of the light pole and sings reminds me that it is Spring in spite of the cold and windy weather we’ve been having for two months. This morning we have dense fog, but the meadowlark is still singing. It is supposed to be rainy the first part of the week and then begin to warm up with chances of thunderstorms. I’m more than ready to turn off the heat and get outdoors. Thursday is my appointment with my oncologist in Denver. I had my surgery three years ago this month. This is a significant anniversary, because my risk of recurrence peaks at three years and then starts going down.